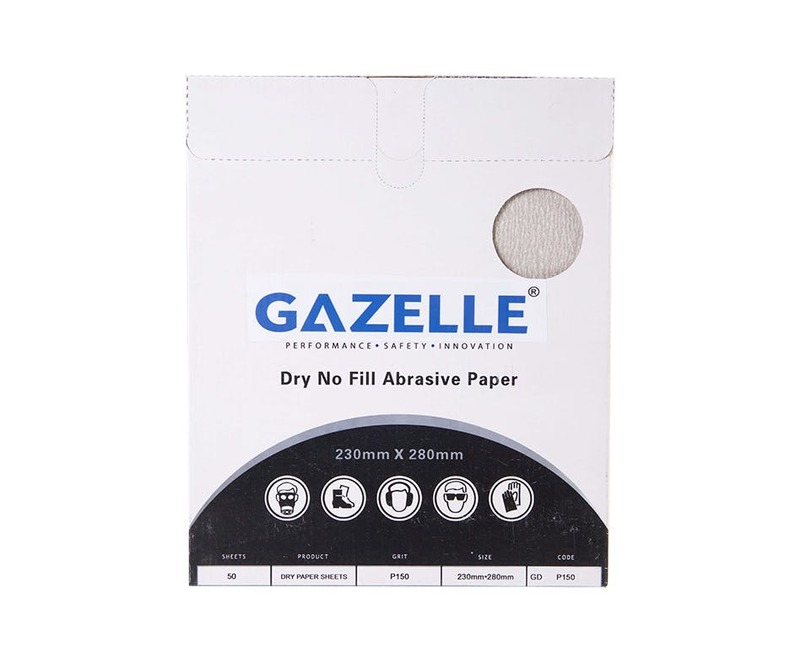 Gazelle Dry Paper is a white colored, semi open stearate coated resin bonded product with C-WT backing. It gives superior surface finishing on flat surfaces. 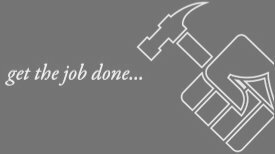 The sheets are used for refinishing, preparation and de-nibbing. Suitable for all woods, fillers and particularly suitable for processing finish coatings. 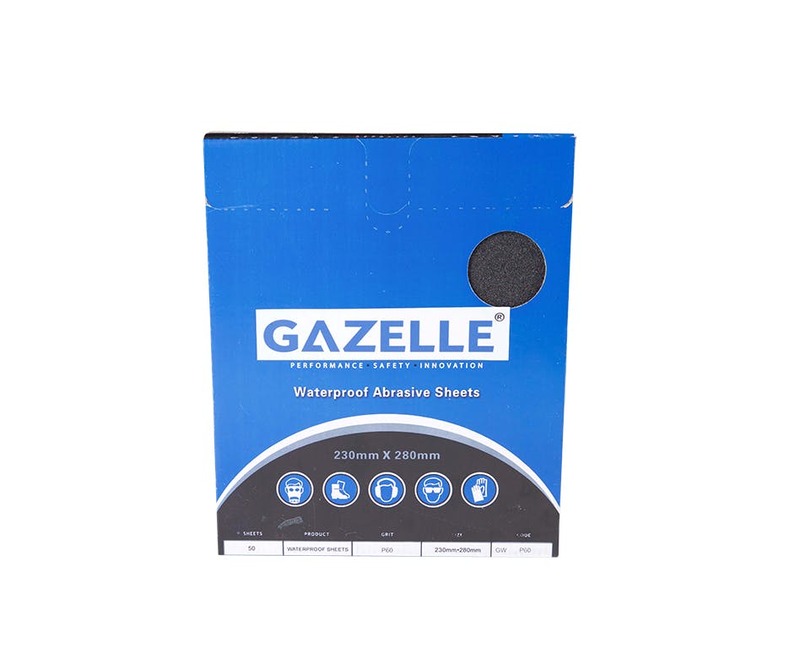 Gazelle waterproof silicon carbide resin bonded paper, more commonly known as wet &amp;amp; dry sheets are used primarily in automotive body work.